Summary: This presentation will help consultants, county agents, growers, and other practitioners in the Southeastern U.S. cotton states to understand more about the role of soil fertility, pH and fertilizers in producing high-yield cotton. Some of the soil fertility concepts discussed will apply to all cotton growing regions in US but the emphasis will be on managing soil fertility on Coastal Plain soils. 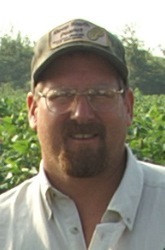 Specifically in this presentation, practitioners will learn: important characteristics of Coastal Plain soils, which nutrients are essential in producing high-yield cotton, how N-P-K fertilizer recommendations are adjusted for yield goals, which essential nutrients are mobile in soil, the importance of pH and how it affects soil nutrient availability, the difference between calcitic and dolomitic lime and why overliming may cause problems, the importance of potassium nutrition and foliar feeding cotton and finally the potential for using “unmanned aerial vehicles (UAVs) for increasing yield potential. By the end of this presentation, the practitioner should have a good understanding of the basic fertilizer strategy for producing high-yield cotton as well as specifics about some of the key fertility issues that van prevent reaching high yield goals.